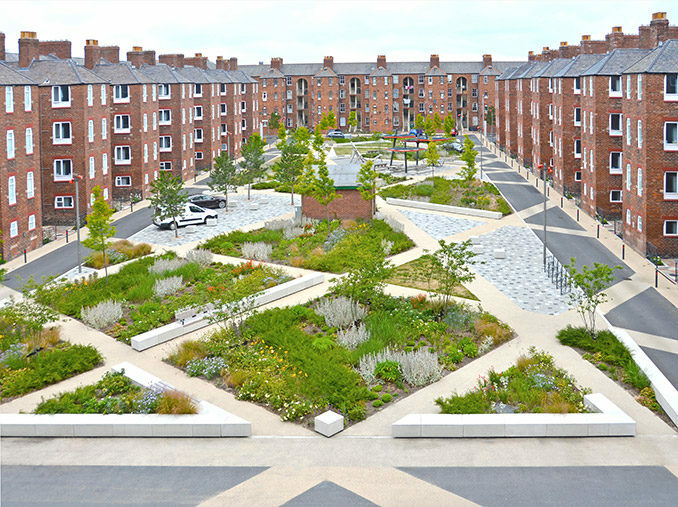 The Landscape Institute recently announced the winners of the annual Landscape Institute Awards 2018. 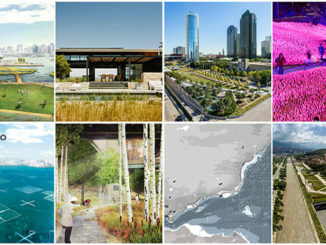 From 163 entries, the winners highlight an array of projects which focus on landscape design, community, sustainability and innovative thinking. The diversity of the projects showcases the efforts the profession makes to protect and develop the landscape. The Awards Ceremony on Thursday 22 November at The Brewery in London celebrates those who are at the forefront of the profession, leading new work in the fields of design, community engagement and health and wellbeing across both the UK and internationally. New this year, the Dame Sylvia Crowe Award for Outstanding International Contribution to People, Place & Nature is the first Award open to individuals and organisations globally. The Landscape Institute is pleased to announce that the winner is Quarry Garden in Shanghai Chenshan Botanical Garden by Beijing Tsinghua Tongheng Urban Planning & Design Institute. 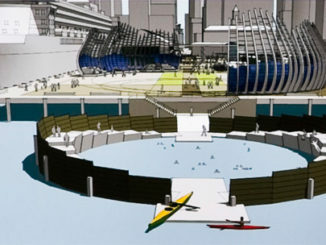 The judges were impressed with the modern design methods used to create a stunning series of attractions, which re-establish the connection between human beings and the wasteland of the quarry. It demonstrates how a landscape can be transformed to benefit people, place and nature. The design has turned a scarred landscape into an attractive re-naturalised environment providing recreation and ecological restoration. The subject chosen by the Fellows for this year’s Fellows Award is ‘Creating Healthy Places’ for which the winner is Beech Gardens and The High Walk, Barbican Estate, Nigel Dunnett and the Landscape Agency. This project sets out to refresh the external podium garden in the Barbican High Walk, an area devastated by WWII which was redeveloped between 1960-1980. The planting offers seasonal change, dynamic colour and texture and greatly reduced water input. The project sets a new precedent for the adaptation and retro-fitting of post-war housing developments and offers residents visual interest and wellbeing benefits – much needed in this dense inner-city environment. The innovative design aims to create a landscape that is ‘future-proofed’ and responds to the unique micro-climate issues of London’s Barbican – where tall buildings cast intense shade – through planting and species selection which responds to these difficult environmental conditions. 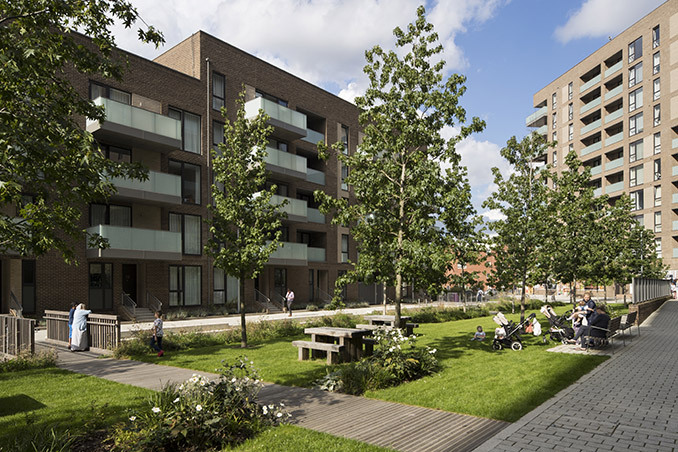 South Gardens, Elephant Park, Churchman Landscape Architects, winner of the prestigious President’s Award for the Best Landscape Scheme of the Year, delivers the first 360 new homes of Lendlease’s Elephant Park Masterplan, to replace the former Heygate Estate in South London. South Gardens provides an attractive sanctuary in central London – one which responds sensitively to the surrounding architecture and its designated setting. The planting designs for the courtyards and green roofs are specifically aimed at being resilient to climate change and strategies for insect, bird and bat habitat are embedded covertly into buildings, or as conspicuous sculptural objects. Sustainability is at the heart of this project and it aims to be the UK’s first climate positive development, using horticulturally rich gardens with opportunities to forage fruit or grow fresh food and for creative play by children weaving through the courtyards. 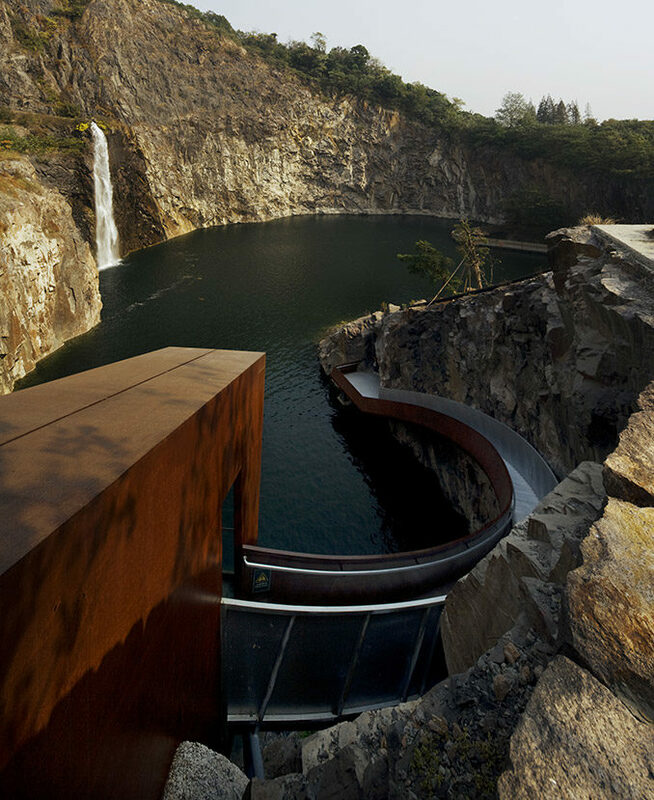 Inspired by the concept of “Taoyuan” (an ideal paradigm of East Asian natural landscape), the quarry creates a series of attractions, re-establishing the connection between human beings and natural wasteland which is integrated with the adjacent botanical garden. The judges called this an excellent example of a fresh approach to quarry restoration. This temporary agricultural garden is constructed on the same rice field every year while maintaining the land’s productivity. The design changes annually, making it an ongoing experience, which if monitored each season, could help to better understand the interaction of people with different open spaces. This park is a backyard oasis in which people can interact with each other and with nature, making it a pinnacle destination for local workers and residents in the booming Wangjing district of Beijing. The Block provides and excellent example of how site-found waste materials can be successfully used to create both character and function within a public landscape. By completely replanting the podium level at Beech Gardens and the High Walk in the Barbican Estate, this project aimed to create an exemplar of sustainable climate-adapted urban landscape planting. This design provides a case study of the residential landscape as an urban sanctuary in London, which places the community, wellness and ecology at its heart, with communal courtyards and the incorporation of green roofs. Barrow in Furness has a rich industrial heritage, but the decline in traditional industry has resulted in a degraded landscape around Maritime Streets. 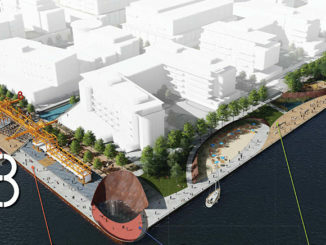 The brief was to improve the public realm, creating a landscape that would that kick-start economic and social growth. This project provides accessible, therapeutic spaces throughout the campus and combines landscape and architecture to provide social and health benefits through access to high-quality landscape in Scotland’s capital city. Undertaking the regeneration of the battery, on Scotland’s south east coast, along with the creation of a new public gathering space to promote education and public art, while also conserving a listed building. Facilitating the reuse of the listed Ten Trinity Square in London, which was at risk due to inoccupancy, a pocket park was created that balances the needs of people, environment, heritage and townscape. Creating a sense of identity for the whole London estate and to improve access to green space, by developing a ‘garden’ for the residents and providing a series of formal and informal social spaces. Providing more than 1,000 affordable homes set around new green spaces and using pedestrian and cycle strategies to break down the barriers of the A13 and A12 highways in Highland Perthshire. The new design of the main pedestrian spine running through De Montfort University in Leicester promotes walking and cycling, and the rain gardens support ecology and managing water. An educational rainforest experience in the heart of the city with canopy walkways, wetland boardwalks and stepping stones. 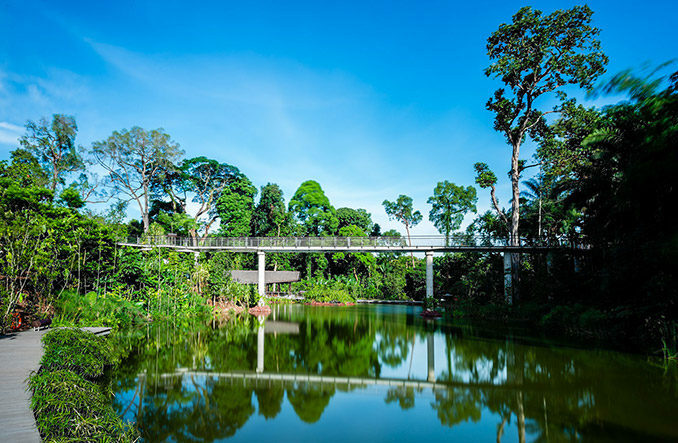 Promoting awareness of biodiversity through nature experiences, interpretive signage, environmental sculptural elements, this site is now home to more than 170 species of birds, including nationally-threatened species such as the grey-headed fish eagle in Singapore. Located within the Green Belt, Bushey New Cemetery forms an extension to the existing United Synagogue Jewish Burial Ground. The design aimed to alter the perception of the building cluster by seamlessly integrating a new prayer hall, a mortuary, parking and burial space seamlessly into the landscape. 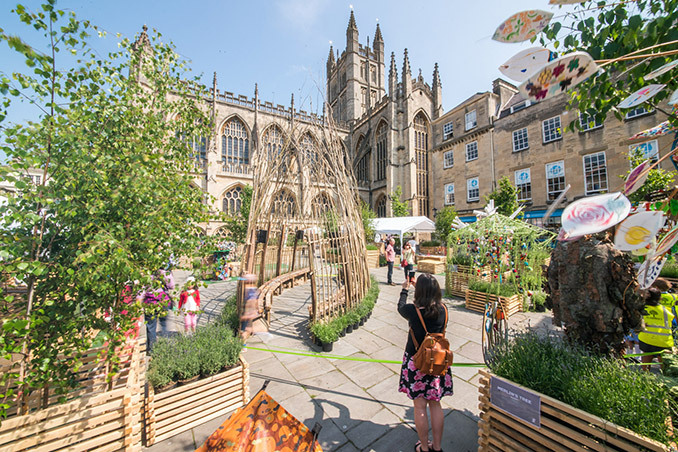 A temporary annual transformation of a public space in Bath made from borrowed, found or recycled materials highlights the importance of sustainability. A garden for the Bloom! Festival in York, which celebrated 250 years of the Ancient Society of York Florists. The planting was inspired by the North York Moors with a modular ‘stitch’ pattern, referencing fashion design. Bluegreen built interventions is designed to engage people through their own curiosity, creating talking points and inspiring action. Connections were developed during design workshops and walks, involving over 400 members of the public. The book presents a wide survey of inspiring international landscape architecture sustainability projects spanning the last two decades. This park was the last surviving portion of the great country seat of the Earls of Essex. The project aimed to restore and reveal the lost character and features of this 380-year-old designed landscape, while also revitalising the ‘People’s Park’. Built in 1779, the Grade I listed Piece Hall in Halifax, in Yorkshire, is the sole survivor of the great 18th century northern cloth halls. The transformation project was undertaken as a sensitive restoration and re-use of the courtyard, after it escaped demolition by a single vote in 1972. The four-year, £6.2m ‘Parks for People’ restoration project has revealed hidden architectural gems, revitalising Benjamin Baud’s and J.C. Loudon’s original garden cemetery design in West London. A practical hands-on approach and strong community outreach has restored the 18th century park’s listed structures and tree lines in West London. Over the next 20 to 30 years, it is anticipated that Thamesmead Estate in East London will be transformed, with a commitment by Peabody to invest an estimated £1bn in housing, green infrastructure, waterways and promoting economic prosperity. In this Devonshire project the planting provides a habitat for wildlife using a planting palette of native grasses and willow, with a focus on pollinating insects. Celebrates the under-represented qualities of Surrey’s Wandle Valley, from downland to delta and offering community-inspired legacy, including the training of local volunteers. Pre-empting the impact of Brexit on the future for food, farming and the environment, the project’s focus lies in incentivising all the public benefits of the countryside such as healthy food and soils, flourishing nature and enterprising businesses. Combining Ecosystems Services Valuations, and more traditional heritage and landscape techniques, including hand-drawn visualisations, to connect Burton to the Trent Washlands in Staffordshire. Delivered in three phases, Northstowe in Cambridgeshire will eventually provide 10,000 new homes for around 25,000 people and provides guidance on how to embed healthy living and play into the design of green infrastructure. Since 2015, AECOM have provided a national programme of technical support to groups engaged in preparing neighbourhood plans. This project draws specifically on the delivery of over 50 Heritage and Character Assessments, which apply the best of local landscape planning practice. Aiming to develop a new parks and open spaces strategy for this London borough, the project recognised the significant challenges faced by the council and the opportunities presented by good-quality parks in delivering positive outcomes for communities and for the borough as a whole. Plans are underway to transform the site of the largest naval estate in the UK, introducing a mixture of flats, houses and community spaces that create sustainable and vibrant places to live. The concept in Mitcham in Surrey has been to turn the existing estate ‘inside out’, reallocating green space and reducing the current feeling of isolation expressed by residents. This project divides the garden into two contrasting spaces, each representing a different version of heaven. One strictly follows garden-making principles in the Islamic tradition while the Exotic Garden has a contemporary character, with species drawn from Mediterranean regions. This study aimed to assess whether implementing an ecosystem services approach in the planning of refugee settlements can improve the wellbeing of residents, as well as the host community. It looked at mitigating against negative environmental impact on sites after settlements have been dismantled. This piece of research investigated the challenges faced by visually impaired people when navigating landscape design. It looked at how multisensory landscapes should be considered, so that visually impaired people have a more satisfactory and safe experience in public space. This thesis attempts to understand the changing context of Brexit, its challenges and the potential opportunities for landscape architecture. The Skyline Parliament Manifesto is a design-based dissertation encompassing theoretical research and speculative enquiry into the political influences that underpinned the creation and permanency of London’s Greenwich Park. Initially challenged to examine Greenwich Park through the lens of external political influences both past and present, it was the park’s spatial perpetuity and topographic uniqueness that informed the direction of the project. ‘Indulge Me’ looked at how digital, analogue and hybrid forms of representation can be used to communicate landscape’s visceral and ineffable qualities. A passion for the diversity of social and ecological networks within the urban environment and how these work together as systems to inform design is runs through this portfolio. This portfolio evolved around the intention to better understand water bodies and watersheds through the exploratory placement of people in existing and future water-centric topographies. This portfolio looked at design as a way to understand the functioning of the world and our role within it. The work encompassed two projects, both situated in or at the boundary of national parks. HUB has built a reputation around a new way of thinking about property development – putting their residents and investors at the heart of their strategy to develop homes. Anneliese passed her P2C exam on the 1st June 2018 to become a Chartered Member of the Landscape Institute (CMLI) and actively encourages others to consider looking at chartership, whilst sharing her experiences with the pathway. James’ approach to landscape architecture is bold, confident and innovative, yet also thoughtful and sensitive. James has guided many projects from inception to project completion and often stays involved due to his commitment and interest in his work. He is always willing to develop his skills and enjoys passing on his expertise to others. Mike has 40 years’ experience as a leading landscape architect, arboriculturalist and ecologist. He has been nominated by the Yorkshire and Humberside LI branch for over 30 years of volunteering.